Earlier in the day my palms were itching and subconsciously it clocked as "money is coming" and then I asked myself, "Says who?" I began to wonder where this kind of ideas came from and why we believe them so much. Do superstitions work for you? If your palms are itching do you really get money? While doing my makeup, from the corner of my eye I see our pet Wall Gecko scuttling around and I am tempted to just fling the thing but then I remember that they are called "omo onile" meaning "child of the house" and if you kill them, the house would collapse. LOL. These are superstitions, some people say they work and others do not believe. 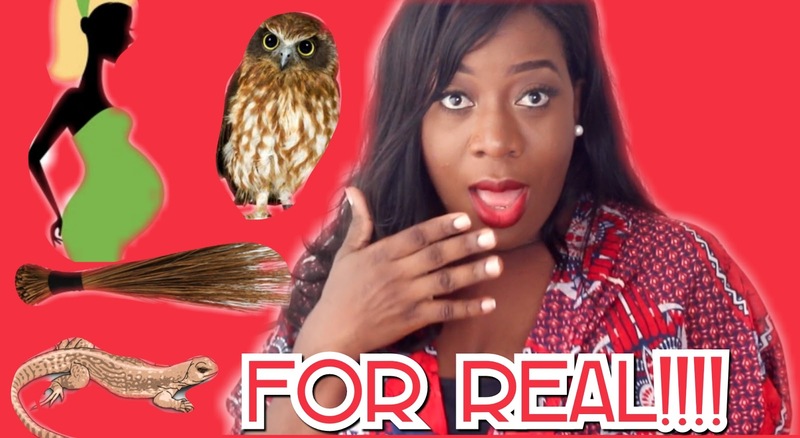 Lets talk about 10 Nigerian superstitions and if they work or not! Lol!! Couldn't stop laughing. But seriously, where did the first person who started a superstition get it from? I used to think it was only Nigerians, but I've seen and heard some from different countries too. The only owner of that house is me. Africans and superstitions are like a match made in heaven! Your video made me laugh so much. Some of them I knew about and some were new - like pregnant women in the market!